With the year edging towards completion, it’s time to review a great twelve months for footballing innovation..
1. The Blizzard– The best idea of 2011. 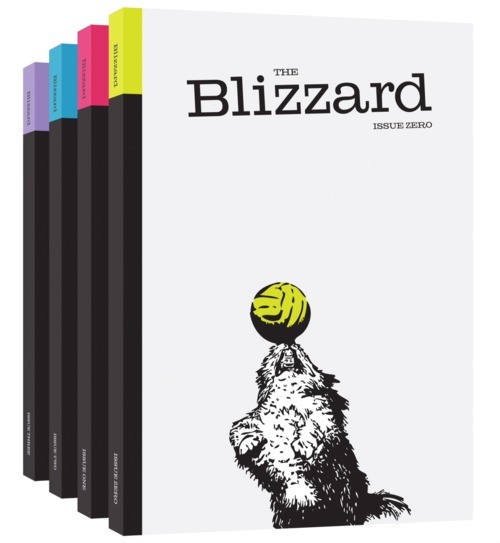 The Blizzard is a quarterly publication designed to defy the constraints of mainstream media. Edited by Jonathan Wilson, the magazine/journal gives a variety of high quality writers the space to stretch their creative muscles. 2. A Life Too Short, by Ronald Reng- In a year where yet another celebrity sportsman took his own life, Reng’s book is an important reminder of football’s brutal pressures. A Life Too Short is the biography of former Germany goalkeeper Robert Enke. It details Enke’s struggles with depression and eventual suicide. Moving, but never sentimental. 3. Fox Soccer.com- While Fox Soccer Channel still resembles the work of an intoxicated twelve year-old, Fox deserves to be commended for its success on the online platform. Foxsoccer.com is a well-designed, smoothly operating website featuring coverage of all Europe’s major leagues, MLS and South America. Editorials by the likes of James Horncastle, Rupert Fryer, Andy Brassell and Amy Lawrence enhance an impressive product. 4. The Guardian- Continues to go from strength to strength. The Guardian is the only free online newspaper to have mastered the intricacies of twenty-first century media. It features an array of talented writers, bloggers and footballing voices, covers every major league (even Major League Soccer) and freely interacts with readers via email and comment. Top class. 5. The Guardian’s Football Weekly– Football Weekly is now almost universally appreciated as the internet’s top football podcast. Hosted by TV-presenter James Richardson, the semiweekly show covers a variety of leagues, players and story lines. Funny, intelligent and consistent. 6. Twisted Blood and Surreal Football- They are football’s arch satirists – purveyors of wit, irony and sarcasm. While most bloggers continue to bore readers with overwrought tactical summaries and reductive statistical analyses, these two rebel sites consistently provide well-written, hilarious content. 7. Zonal Marking- Just had to be in. 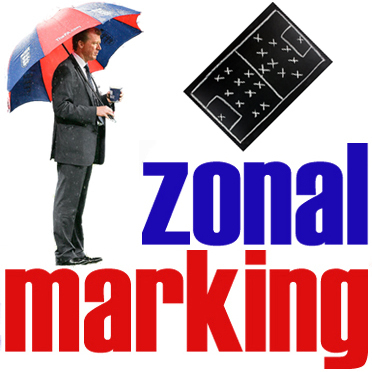 Despite the numerous copy-cat attempts, Zonal Marking remains the internet’s premier football tactics site. Linked to by about 75% of all football blogs. And rightly so. 8. Twitter- I know it’s not an original thought, but Twitter is brilliant. The site unites interests and provokes discussion, creating networks of communication that consistently enhance the quality of online football coverage. Moreover, Twitter provides an ideal forum for conversations with luminaries like Joey Barton. 9. 101 Great Goals- Nothing is easier, nothing is faster, nothing is more convenient. 101 Great Goals is an organized, pop-up free provider of football highlights. A daily newspaper round-up and hilarious blog complement the goals. 10. The Official Premier League Fantasy Game– This summer’s impressive design face lift reaffirmed the pre-eminence of the Premier League’s Official Fantasy Game. The site is now more graphically appealing than its ESPN counterpart, but still (mostly) glitch free.